A 20-year-old lady, Amina Hassan, on Tuesday dragged her father, Hassan Adamu, before a Sharia Court at Magajin Gari, Kaduna over his refusal to allow her marry the man she loves. The girl, who lives with her grandmother on Bashama road, Tudun Wada, Kaduna said through her lawyer Ado Ali that she wants the court to order her father to marry her off to her heartthrob. The complainant added that she had attained marriage age and would want to settle with the man she loves but her father had refused his assent. “We want the court to order her father to marry her off to her heartthrob,” her lawyer said in court. He also prayed that if the father remain adamant, the court should serve as the girl’s guardian and marry her off to the man she loves. Ali said he had made attempts to convince the father to soften on his stand but to no avail. According to the counsel, the father is withholding his blessings because the suitor has no regard for him. The defendant’s counsel, Nasir Abdullahi, also agreed with the submission of the prosecution counsel for the court to give them time to resolve the issue. 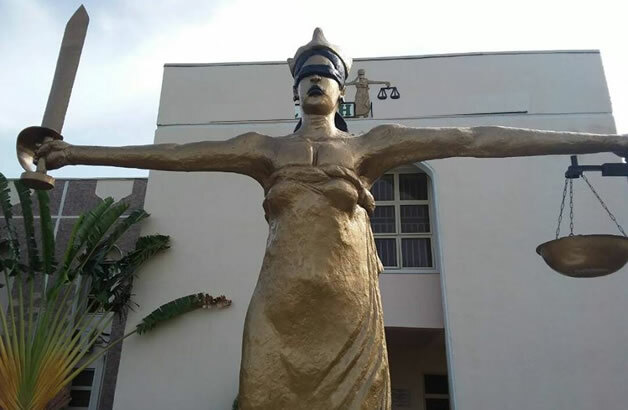 The Judge, Malam Dahiru Lawal, noted that even though the father had the right to assess his daughter’s suitors, he has no right to force anyone on her. He therefore ordered the defendant’s lawyer to present the father in court on Oct. 29, for further hearing.